Guild Member, Ron Frazier crafted this ornate Stag Bowie. 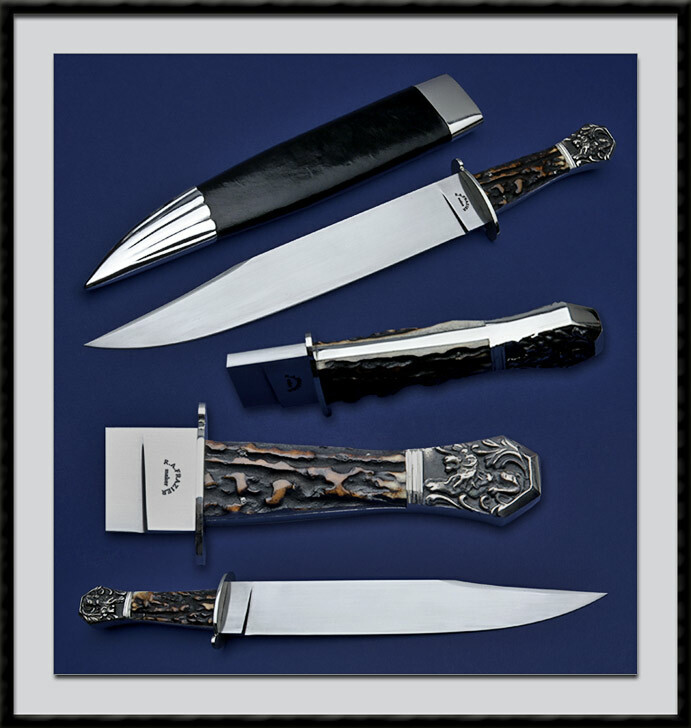 Hand rubbed 440C Blade, Full Tapered Tang, BL = 10 1/8" OAL = 14 3/4", Nickel Silver fittings, Presentation Stag scales accented by 4 SS pins and cast Nickel Silver rear bolsters. Comes with the Custom Leather and Wood Scabbard with Nickel silver Fittings pictured. Top Shelf Fit and Finish. Condition is Mint, direct from maker.